Illinois reached Big Ten postseason play for the second year in a row and seventh time in nine years under head coach Dan Hartleb. The Illini finished with their best Big Ten record at 17-7 during the conference's 24-game schedule era, which began in 2009, and under Hartleb. Illinois' pitching staff broke the school record for team ERA from 1976 (3.43 ERA) with a mark of 3.25 ERA in 2014. The Illini also set school records in Big Ten play (24-game schedule) for ERA (3.54), eclipsing their previous mark of 4.16 from 2013, and strikeouts (157), surpassing their mark of 135 from 2013. 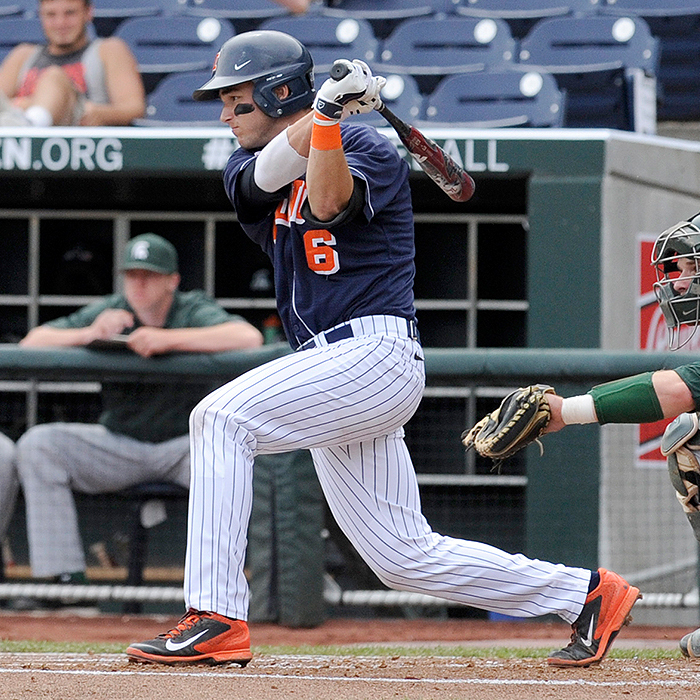 Illinois posted a school record four Big Ten sweeps in 2014. The Illini broke out the brooms at Northwestern and Penn State followed by a home sweep of Michigan State and a road sweep of Iowa. Sophomore Tyler Jay was voted to the ABCA/Rawlings All-Mideast Region Second Team after leading the Illini bullpen with a 1.94 ERA and boasting a 4-1 record with 10 saves in a team-high 23 appearances. Redshirt-freshman Adam Walton was named a Louisville Slugger Freshman All-American at shortstop by Collegiate Baseball newspaper after leading the team with a .329 average. Junior Casey Fletcher collected multiple national and conference weekly laurels following his stellar week at the plate from April 30 to May 4: hit .471 (8-for-17) with two walk-off winners, five home runs, 10 RBI and a 1.353 slugging percentage.